America is wasting little time getting back into the oil exporting business. Just weeks after Congress lifted a 40-year ban on exporting oil, the first shipments of the black stuff left U.S. ports for Europe. The first freely-traded shipments of U.S. crude are symbolic of the country's newfound role as a leading producer of oil. America's entry into the world market can also be viewed with relief by those worried about potential supply disruptions. After all, many big oil producers are located in volatile parts of the world susceptible to geopolitical shocks. "The fact that producers have free access to the global market will make it easier for U.S. supply to respond to disruptions around the world," said Jason Borduff, a former energy adviser to President Obama who is currently a professor at Columbia University. America officially banned exports in 1975. It came two years after an OPEC oil embargo that banned oil sales to the U.S. had sent gas prices skyrocketing. Newspaper photographs of long lines of cars outside of gas stations became a common and worrisome image. Fast forward 40 years and the world has changed drastically, with booming U.S. oil production from the shale revolution creating an epic supply glut that recently sent oil prices below $30 a barrel. Some of that American oil is now finding a home overseas. On New Year's Eve ConocoPhillips (COP) and NuStar Energy (NS) announced what they said was the first exports of U.S.-produced light crude oil since the ban was lifted. The companies shipped oil pumped from the Eagle Ford Shale of Texas. Other shipments believed to be containing oil pumped from the U.S. have left for destinations in Europe in recent weeks as well. An oil tanker near the Port of Corpus Christi in Texas. Related: Is Saudi Arabia finally willing to rescue the oil markets? In the long run, the ability to send U.S. oil overseas will help the energy industry. In the short term, the depressed oil prices are actually expected to slow U.S. oil production in 2016. And given the current backdrop, don't expect U.S. exports to skyrocket any time soon. There's also fierce competition on the global stage, with Russia, Saudi Arabia and producers in North Africa like Nigeria engaging in a battle to maintain market share. Just a year ago American oil would have been a hot seller on the global stage. It was trading about $12 a barrel cheaper than Brent crude, the global standard. That means European buyers would have been willing to front the heavy costs involved with shipping oil across the Atlantic. But that's changed. 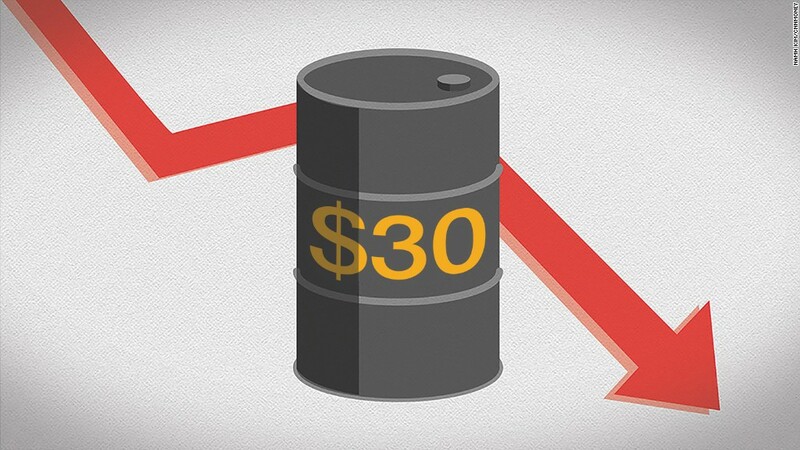 U.S. oil prices are now just $1 or $2 a barrel cheaper than Brent. "The economics don't entirely work for U.S. crude to be traded everywhere in the world," said Brian Scheid, a senior editor at Platts. 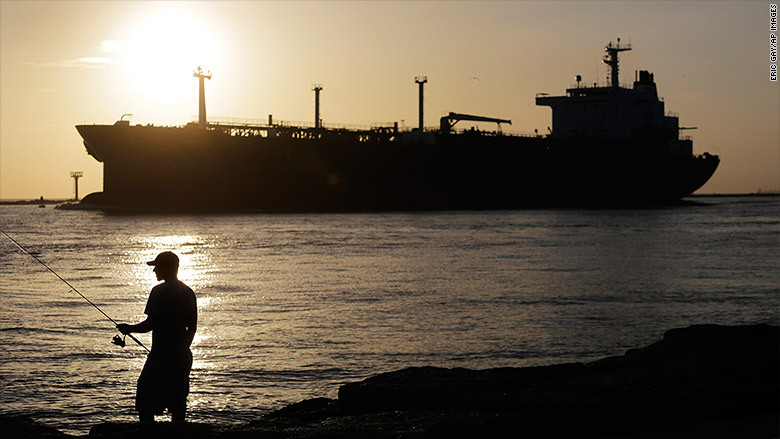 There are also logistical hurdles keeping U.S. oil from straying too far from home. Due to the longstanding export ban, America's Gulf Coast doesn't currently have the equipment in place needed to load the giant supertankers that other countries typically use to ship oil long distances, according to Nilofar Saidi, a crude oil market analyst at ClipperData. Smaller ships can be used on voyages to Latin America and Europe, but aren't ideal for far-flung places like East Asia. Columbia's Bordoff thinks it will take time to fix that situation. "Given the market situation today, there's going to be caution about large-scale infrastructure investments," he said. However, U.S. refiners have spent heavily on upgrades in recent years that allow them to process the ultra-light crude being pumped from U.S. shale fields. That means it probably makes more economic sense to leave American oil at home for now.